The animal group FoCAS (Friends of Cullman Animal Shelter) in Cullman, Alabama asked me to design a Christmas T-shirt for them to wear in the local Christmas parade. Animals are my soft spot, and since I have worked with them on T-shirts designs before, I knew it to be a pleasure! Donating time to help a cause that I love is always a treat. I was so glad to help them! I updated my Etsy page to include some better photographs of my calendar! Hopefully these will compliment my product a little better! Group shot of the loose calendar pages. Wow, I'm making my first venture into the world of Etsy a little late in the holiday season, however, I thought I would just jump in the best way I can at the last minute rather than wait for another holiday season to totally pass me by. 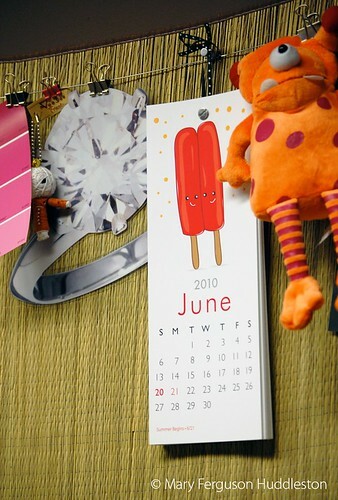 My 2010 "We Belong Together" printable pdf wall calendar is available on Etsy! 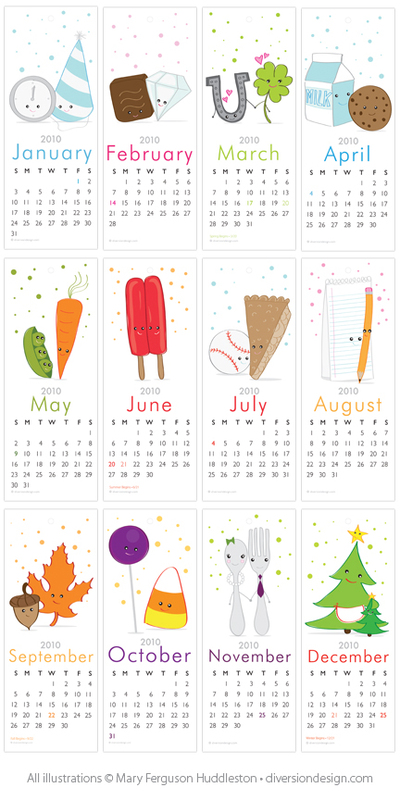 This little calendar features 12 original illustrations by yours truly. It's a great way to celebrate friendship in the coming year. Makes a good last-minute gift because you just print it yourself on whatever kind of card stock you wish. 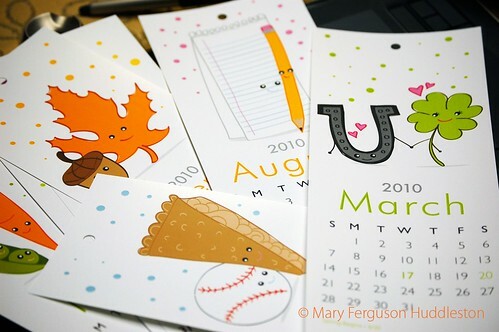 The calendar is easy to print and assemble taking only 6 sheets of card stock, 1 easy cut up the center of each sheet, and a standard .25" hole punch (which is marked) to create the hole for hanging.